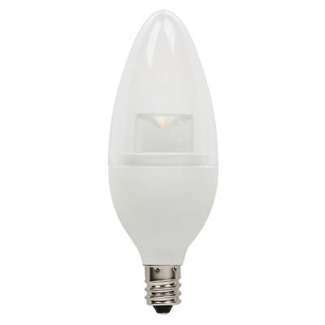 This decorative B11 LED bulb is the ideal energy-saving replacement for traditional incandescent torpedo light bulbs. It produces the same light output as a 25 watt incandescent, but uses only 2.8 watts of energy. 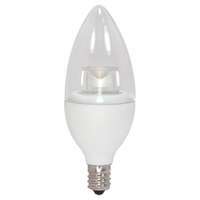 This long-lasting B11 LED is perfect for chandeliers, ceiling fan lights and sconces. This B11 is fully dimmable, and features a color temperature of 3000K that provides bright white, beautiful light. It is suitable for use in enclosed fixtures and damp locations, a great choice for your outdoor-rated wall, ceiling and post lanterns. Make the switch to Westinghouse LED light bulbs for significant energy and cost saving benefits. Westinghouse is a trusted global brand. We know lighting and offer products with exceptional quality, reliability and functionality.